Broken Tooth Repair Manchester – What Are My Options? A problematic chipped or broken tooth should never keep you from smiling. In fact, when it comes to chipped tooth repair or broken tooth repair in Manchester, dentists have a number of ways that they can deal with the problem. In this post, our Manchester Emergency dentist guides you through the options available. The first and logical thing that you should do if you do chip or break a tooth is to all your dentist. Depending upon the severity of the problem, they may be able to treat it there and then, but at the very least, they’ll give you advice on what to do until it can be dealt with. However, assuming you’ve already done this, here’s what you can expect to be treated with. A veneer is a thin shell-like layer of porcelain which fits over the front of the tooth. Once colour matched and polished, it looks just like your natural tooth enamel and for this reason, can cover up a multitude of sins including a chipped or broken tooth. If your tooth poses more of a cosmetic problem (Eg. it’s easily visible when you smile) then this may be a good option. This is normally resolved for minor chipped tooth repair and is the least invasive and cheapest procedure. It involves moulding a composite material over the chip so that it fills the space. Once hardened, it creates a strong structure over the area that blends in with the rest of your tooth. These are usually reserved for chipped tooth repair or a broken tooth repair in Manchester where the chip/break is more severe. 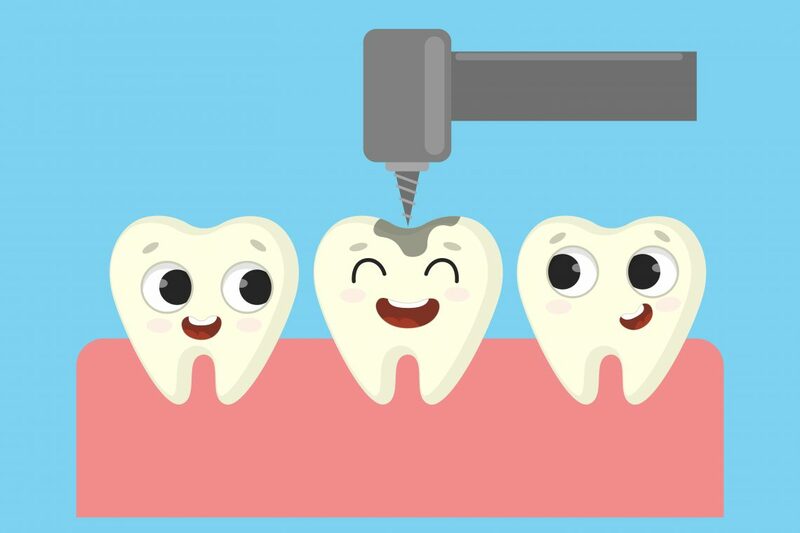 Unlike veneers, dental crowns are made to cover the entire tooth and act not only as an aesthetic enhancement but can also restore function allowing the patient to be able to bite down on the tooth and chew normally. Typically, crowns are made from a durable ceramic porcelain, porcelain fused with metal (PFM) or Zirconia. Some dentists offer same day crowns where they can be manufactured and fitted chairside. The final option might be to remove the tooth altogether and fit a dental implant. This is usually reserved for times when the existing tooth can’t be saved. This may be when the tooth is badly cracked or broken close to the gum line. By removing the tooth a skilled dentist can then place a titanium post in the space, before sitting a life-like dental crown on top. The result is that it looks, feels, and to a certain extent acts, just like a real tooth, and one that can last for many years to come. So there you have it, your options for chipped tooth repair and broken tooth repair. Manchester residents can rest assured knowing our Manchester emergency dentist can help. If you have any further questions about how we can bring your smile back to life, contact us at 0161 485 7376 today. As an urgent care dentist in Manchester, we’re kept pretty busy. While teeth are incredibly strong and able to withstand pressure from biting and chewing, biting into something hard or the impact from a sports injury, can cause a tooth to break. If this happens to you during a Sunday morning football match, then what do you do? Should you contact a 24-hour emergency dentist in Manchester? Does a cracked or broken tooth constitute a visit to an emergency dental care clinic? Although mild cracks or chips may not cause any pain and require little more than a touch of dental bonding, some dental breaks can be more severe and require an emergency dental care clinic visit in order to alleviate pain and potentially save the tooth. 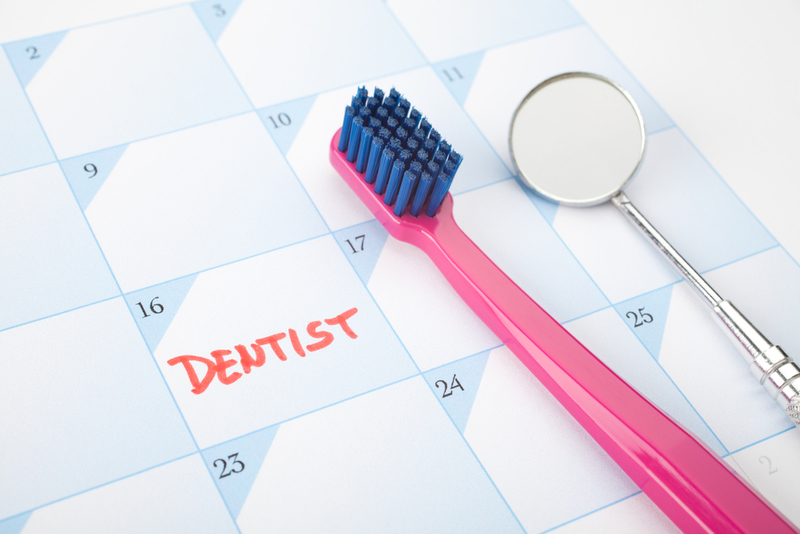 So you cracked or broke your tooth – when should you visit a dentist? There are a few different types of fractures and breaks and the severity of the break may determine your treatment options. Even if you don’t feel any pain after breaking a tooth, it’s important that you speak to an urgent care dentist in Manchester as soon as you can. While you may only see a slight crack following a sports injury, for instance, it could be that the inner pulp and nerve tissues have been damaged which if not treated right away, could cause infection and lead to permanent damage of the tooth. Minor cracks will probably only require slight cosmetic correction. However, the following types of dental fractures are best treated by a 24-hour emergency dentist in Manchester, to prevent any long-term damage. If your tooth is cracked from the surface down to the nerve then an emergency dental care clinic dentist may give you a filling to stabilise the tooth and prevent the crack from spreading and recommend it be further strengthened with a crown. In the event that pulp tissue or nerves are damaged, then you may need an emergency root canal to get rid of any damaged tissue and harmful bacteria. When a cavity is left untreated it can weaken and destroy the tooth from within, which in extreme cases can cause tooth loss. If it’s caught and treated in time, an urgent care dentist in Manchester should be able to save the tooth and restore it with a dental crown. This type of break usually starts off at the root and spreads out to the chewing surface of the tooth. You may experience an infection and/or inflammation and often in cases like this extraction is necessary. 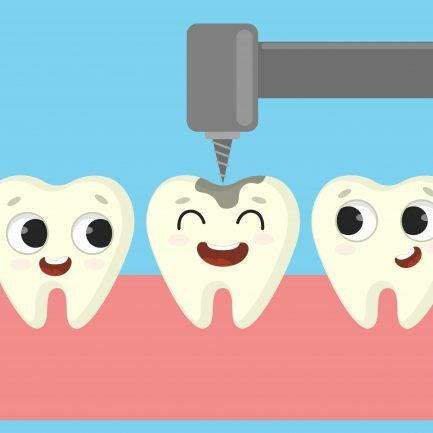 This type of break usually extends right down to the nerve and in the event of damage, usually, a root canal is carried out after which the tooth is restored with a dental crown. As a rule of thumb, tooth pain is a good indication that the tooth needs to be treated as soon as possible. If you’re suffering from pain, sensitivity, throbbing, or bleeding after a crack or break then we recommend you visit an emergency dental care clinic as soon as you can. In the event that your tooth falls out or is bleeding and loose, then rinse with warm water to cleanse the area and stem the bleeding by applying clean gauze until you can get to a 24-hour emergency dentist in Manchester. Meanwhile, isn’t it reassuring to know that Church Road Dental and Cosmetics is your local urgent care dentist in Manchester? No matter what time of the day or night, if you have a dental emergency give us a call on 0161 485 7376. We’re a 24-hour emergency dentist in Manchester that’s always open for you. Have you ever needed emergency dental care in Manchester or indeed, wondered whether your tooth pain constitutes an emergency? Don’t worry you’re certainly not alone in feeling unsure about dental emergencies in Manchester. When it comes to teeth, damage or pain should never be overlooked. In fact, visiting your emergency dentist when you’re in pain can save your teeth. To make things a little clearer, we’ve listed below 5 common types of dental emergencies. Teeth are remarkably strong but they can still fracture at any time. Perhaps you’ve bitten down into something hard that’s caused your tooth to fracture or maybe a badly decayed part of a tooth has broken away. If this happens it’s important to seek dental help as soon as you can. Apart from any pain, you may be feeling and aesthetic concerns, not receiving treatment can result in your tooth becoming infected or further decay forming. Be in no doubt that knocked out teeth should be considered as one of the 5 types of dental emergencies in Manchester! In fact, this is one of the most serious types of dental emergencies but the good news is that it doesn’t have to be permanent. 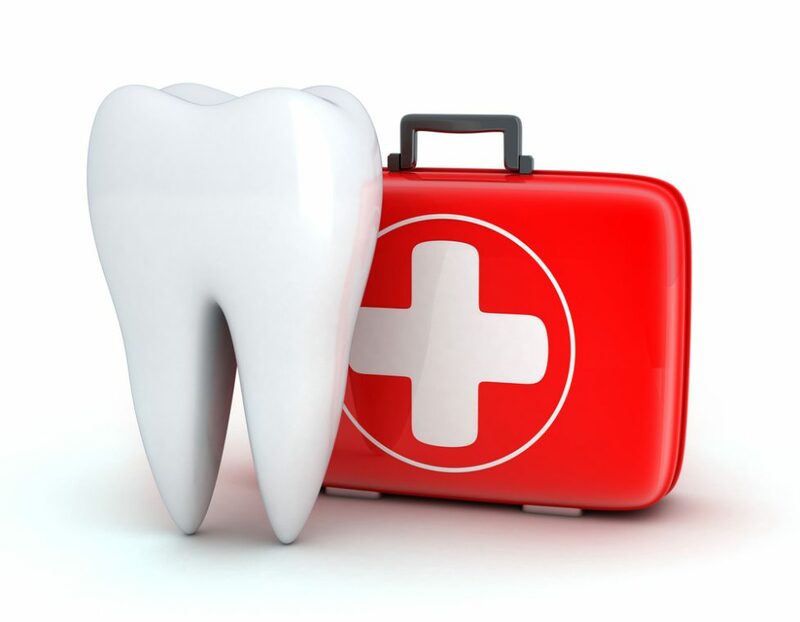 By seeking emergency dental care in Manchester you stand a far better chance of your tooth being saved. If you don’t have the tooth or it simply can’t be saved, we’ll discuss other alternatives such as dental implants or bridges. This is usually caused by a forceful knock to the jaw from a work accident, sports injury, or car crash. Either way, it’s critical to seek emergency dental care in Manchester because it requires specialised treatment. If a broken jaw isn’t fixed properly, it can affect a person’s breathing and eating. A toothache can also be classed as a dental emergency. Pain from a toothache can be excruciating and may signal that you have an infection or abscessed tooth. If the pain can’t be eased with over the counter painkillers then give your dentist a call. 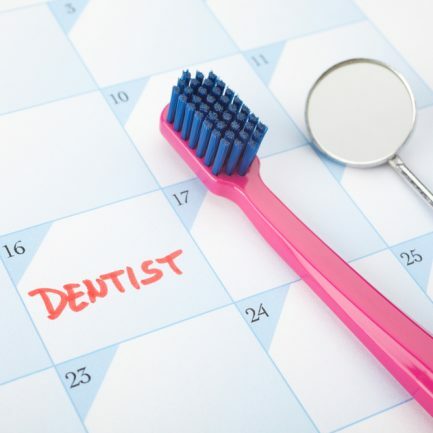 Most dentists keep a couple of appointments free during the day for unexpected dental visits and should be able to fit you in. Although a lost crown or filling doesn’t sound as serious as some of the other types of dental emergencies, it still requires fixing. A filling can fall out when a new cavity is starting or from general wear and tear. Without its protection, your tooth will be sensitive to temperature and likely to deteriorate. As you can see there are many different dental emergencies in Manchester but if there’s one point to take away it’s that you should never ignore your pain. If you need emergency dental care in Manchester then Church Road Dental is always here for you. Urgent Dental Care – Should I Visit An Emergency Dentist with an Abscessed Tooth? Severe pain from a toothache can really knock you for six and prevent you from focusing on anything else. In fact, if you’re wondering whether you should visit a toothache emergency dentist then the answer is yes, without a doubt. Fortunately, we’re a dentist in Manchester that provides urgent dental care at any hour of the day enabling you to get treatment when you need it most. A toothache generally comes on without warning and may be caused by a dental infection or abscess. This is a pus-producing bacterial infection which is extremely painful and can lead to serious consequences if urgent dental care isn’t sought. The infection can occur in or around the root in the area where the dental pulp containing nerves, blood vessels, and connective tissue is situated. Alternatively, it may also occur between the gum and the tooth. What causes a dental abscess? An abscess is often the result of advanced tooth decay which may have stemmed from a broken or a chipped tooth that has become infected. It can also be the result of failing to get a tooth cavity filled, or it may be the case that your tooth enamel has worn thin and allowed bacteria to enter a tooth. Gum disease can also cause abscesses, which in severe cases, may lead to the infection reaching the bones which are supporting the tooth in the jaw. That’s the bad news! The good news is that our toothache emergency dentist regularly deals with dental abscesses and will get your pain under control in no time at all. When you visit Emergency Dentist Manchester, you’re in a safe pair of hands. • Incision and drainage – A small incision is made in the gum so that the abscess can be drained. This is often a temporary measure and you may need further treatment. • Root canal treatment – Your dentist in Manchester may decide to perform root canal treatment which involves removing the inner pulp and nerve which has become infected and caused the abscess. This may necessitate a couple of dental visits. • Antibiotics – Ii isn’t always possible to drain the abscess right away in which case urgent dental care treatment may involve you being prescribed a course of antibiotics to help reduce infection and ease the pain before further treatment can be carried out. • Extraction – If the affected tooth is beyond saving then your dentist may extract it to drain the abscess and encourage the infection to heal faster. Remember, you can reduce your chances of developing a dental abscess by keeping your teeth and gums as healthy as possible. 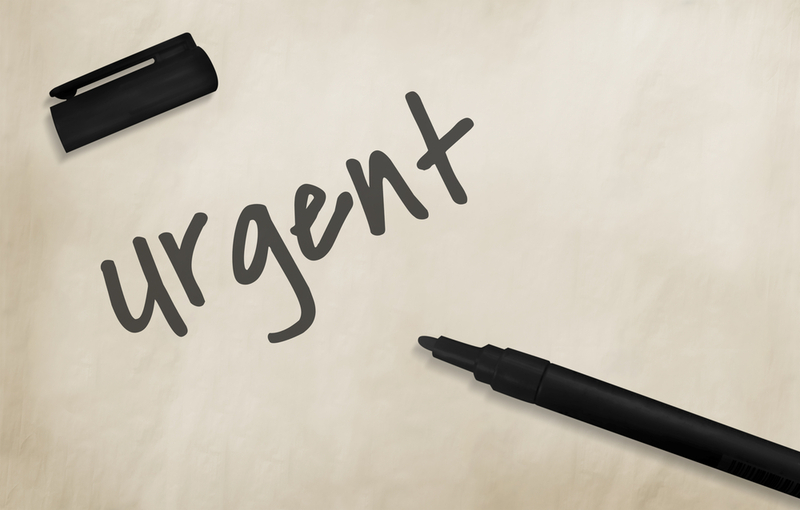 Should you find yourself needing urgent dental care, then Emergency Dentist Manchester is here for you all of the time. If you need to visit a toothache emergency dentist then don’t delay. Call us today on 0161 485 7376. Painless Emergency Dentistry Manchester – Is It Real? One of the most common fears we have as humans is a fear of the dentist. But is painless emergency dentistry in Manchester a figment of our imagination or does it really exist? For many people, dental anxiety and/or dental phobia is very real, and for some the problem is so severe that they can’t bear to visit the dentist even though they might have a serious dental problem. It could be down to a bad experience in the past and to some (especially those who haven’t visited a dentist for many years may) they may understandably feel that painless dental procedures don’t exist. What’s more, they may consider that any discomfort they experience now is unlikely to match what they think the dentist will do to them. While once upon a time this may have been a valid concern, particularly for extensive or invasive treatments, now, every reputable dentist uses methods that deliver a painless dental treatment. Manchester-based patients should know that this is actually the norm, rather than the exception. So is there really such thing as gentle dentistry? 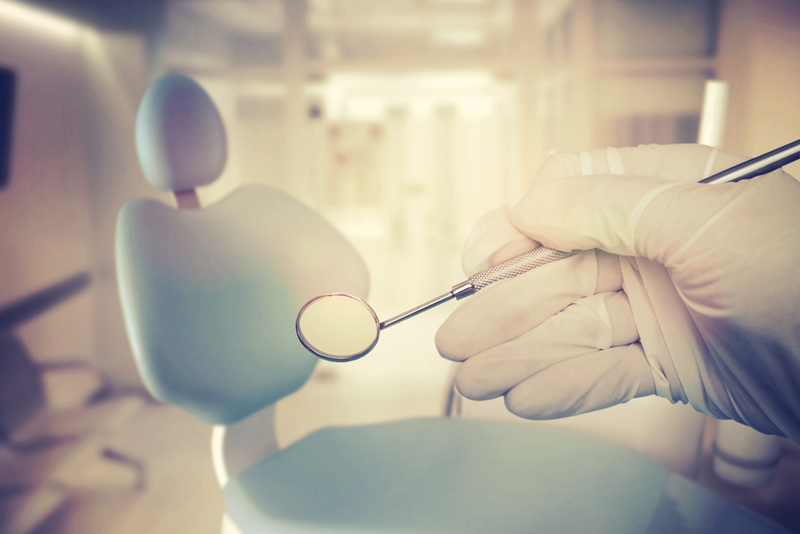 Here’s what you need to know about modern, pain-free dental treatments! There have long existed a number of conventional and emergency dental treatments that can be performed without pain. That said, for those who have particularly sensitive teeth, some processes may make you feel a little uncomfortable. If you are experiencing pain at any time throughout a dental procedure, it’s important to speak up. Even if it’s a new experience for you, after visiting the dentist many times, by saying something, our emergency dentist in Manchester can do something to ease the problem. In addition it it may also alert the dentist to any further underlying problems that may otherwise have gone unnoticed. 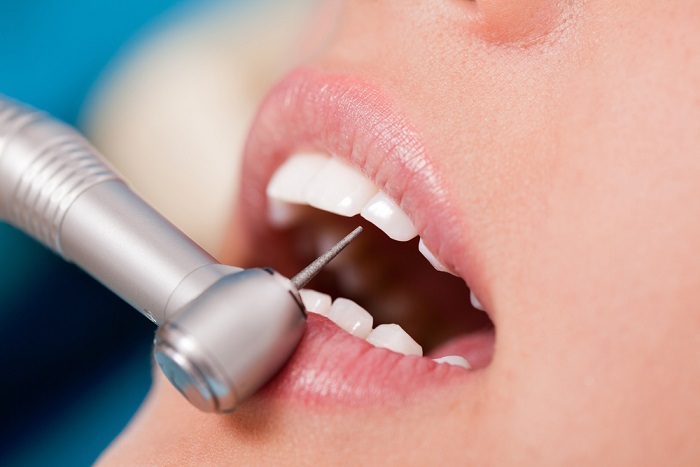 So how do I know if my dentist offers painless dental treatment in Manchester? All dentists use anesthesia to stop patient discomfort, but many have also begun to embrace conscious or minimal sedation techniques for those who require it. 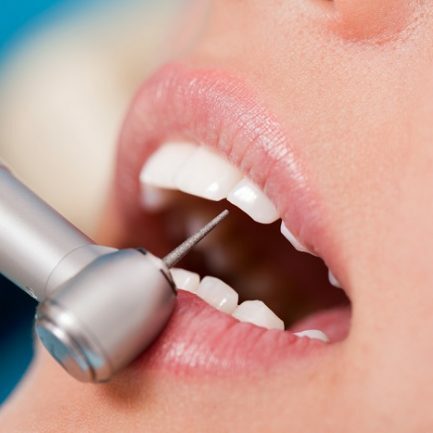 Here at Church Road Dental and Cosmetics for example, we pride ourselves on treating anxious patients and often we’ll use the very latest conscious sedation techniques to help achieve even painless emergency dentistry. Manchester patients therefore can rest assured that not only are they in safe and experienced hands but it’s also highly likely that they will have a pain-free experience, whatever their dental problems. So yes! As far as we and many of our patients are concerned, painless dental procedures do exist. So if you’d like to find out more about our painless dental treatment in Manchester and how we can help you, then contact our friendly team on 0161 485 7376 today and take the first gentle steps towards getting your smile back on track. Let’s face it, cracked teeth aren’t much fun. In the best case scenario they’re unsightly, especially if they’re in your smile line and in the worst case, they can be extremely painful. In the latter instance, the first thing you should do is to visit an emergency dental clinic in Manchester where they can access the situation and get you out of pain. 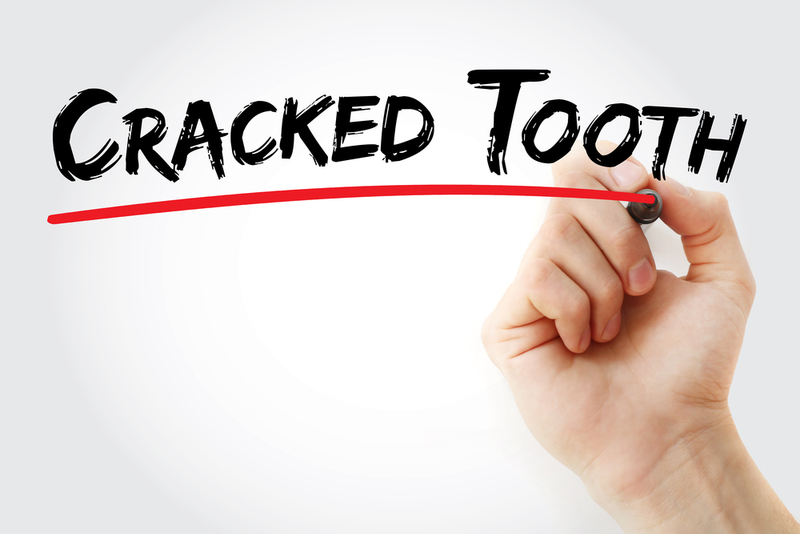 But what if, you have a slight noticeable blemish or crack, how should you approach your cracked teeth treatment? This is where porcelain veneers can help. As far as cosmetic dental treatments go, porcelain veneers (otherwise known as ‘dental veneers’ or simply, ‘veneers’ are one of the most popular. They are in fact very thin, shell-like layers of dental porcelain which sit over the tooth to hide it. Treatment is quick and minimally invasive and at the end of it, you’re left with a whiter, brighter, unblemished smile. That’s all well and good, but how does the process work for cracked teeth? 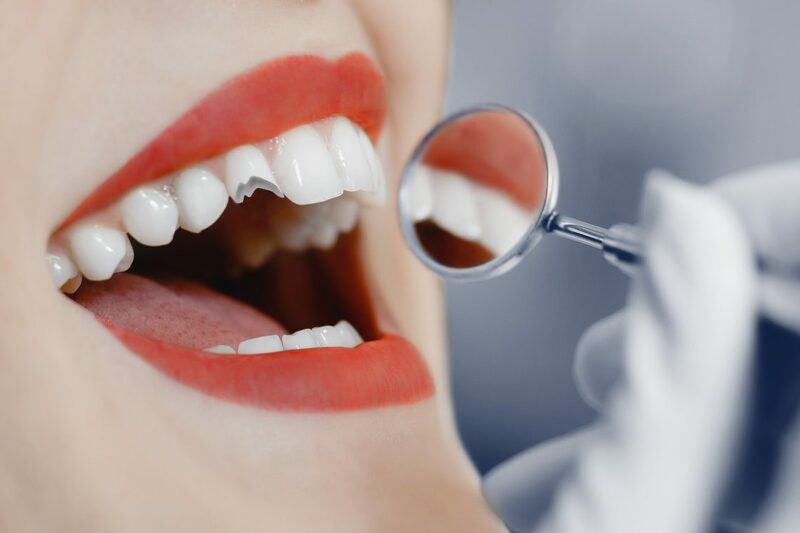 First of all your teeth are inspected and cleaned to ensure no infection is present and of course, we’ll also discuss with you our options for repairing it. Don’t worry though, because cracked teeth treatment using veneers is a well-versed treatment that delivers great results. Next a mould will be taken of your tooth, so that your permanent veneer can be made. In the meantime a temporary veneer will be fitted. During this period, your problematic cracked teeth will need to be prepared and that means shaving a fraction of a millimetre or so of enamel of the tooth surface. This is so that the veneer sits perfectly flush with the rest of your smile and blends in perfectly. At the end of the session, you’ll be given a temporary veneer to wear until your permanent veneer is ready. Do note that the temp won’t be as thin as your permanent veneer so it may feel a little awkward at first but the idea is to protect the tooth from day one. Besides, it gives you a chance to ‘try before you buy’ and at this point, any adjustments can be made so your permanent fittings, will be absolutely correct. When you get the call, usually about two weeks later, you’ll return to our practice and we’ll carefully remove the temporary veneer and cover over the cracked teeth or tooth with the permanent version. Once stuck in place, we’ll shape and polish it to blend in perfectly with the rest of your smile. If you have cracked teeth and want to do something about it, then contact our emergency dental clinic in Manchester and ask us about porcelain veneers. To find out more book a consultation by calling us on 0161 485 7376 today. 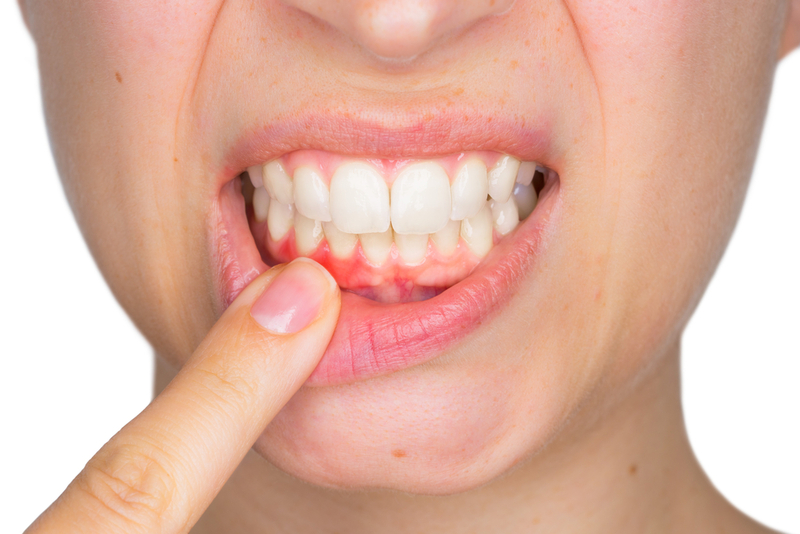 Aside from eradicating any pain, there are definitive reasons why you might want to seek abscessed tooth treatment. Let’s face it when you have an abscess, tooth pain is probably the main signal telling you that something isn’t right. So while it might not be considered a full-on dental emergency in Manchester like say knocked out teeth or ongoing tissue bleeding, it is pretty serious and should really be treated as such. Almost always, a tooth abscess will develop because an existing condition has been left or simply not dealt with. For example, if a deep cavity were to go untreated and/or not properly repaired, it will eventually turn into an abscess. So not only do you have the painful abscess to contend with, there’s also the underlying condition too. In other words, it’s nature’s way of telling you that there is something very wrong with your teeth or gums that needs addressing. If you’ve ever been in the unfortunate position of having an abscess, you’ll know that abscess tooth pain is often substantial. It’s often characterised by facial swelling and pain can be agonising to the point of sickness. In addition, however, patients can also suffer from dizziness, hot and cold flushes and neck/head pain with many patients being on the receiving end of two or more symptoms, making it very easy to misdiagnose. When an abscess is left to its own devices, things can get pretty unpleasant. Aside from a lingering and horrible taste in the mouth, it’s possible that the abscess can turn into an open sore and start to weep profusely. As it does so, any remaining pus, bacteria, and decaying white blood cells can spread to other parts of the body. While it’s extremely rare for dental abscesses to be lethal in this day and age, it’s only because abscessed tooth treatment is readily available. While tooth infections are usually mild, they can in very rare cases, overwhelm the immune system causing severe problems. usually, the first thing a dentist will do is to give you antibiotics. This is to first eradicate any pain and to stop the spread of infection. Once any pain has died down, your chosen dentist can now deal with the problem. This is often, but not always, the tooth itself. In most cases a root canal has to be performed, following up with the fitting of an artificial crown. This can be carried out as an after-treatment to a dental emergency in Manchester if needs be. As you can see. When it comes to an abscess, tooth pain can be resolved pretty quickly provided you seek abscessed tooth treatment fast. Remember if you delay, you may find that you’ll be whisked in as a dental emergency in Manchester, faster than you might think and that can be both daunting and costly. So if you have any signs of tooth problems we urge you to pay us a visit. Call the home of gentle dentistry on 0161 485 7376 today. Most children look forward to losing their baby teeth and receiving a visit from the tooth fairy. However, when they lose a tooth through trauma or injury, it can leave parents in a state of uncertainty. After all, baby teeth are meant to fall out, right? but without a visit to an emergency dental clinic in Manchester are there likely to be problems later on? 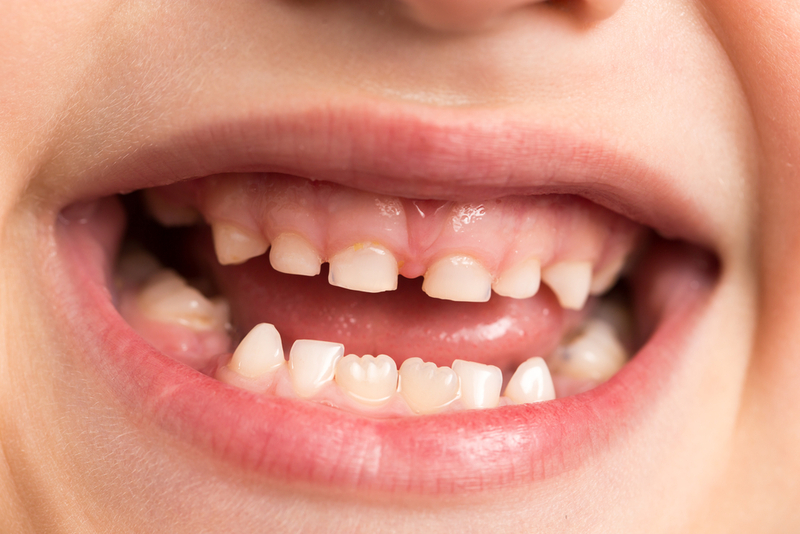 What, if any, knocked out tooth treatment is required for baby teeth? situation, unsure as to whether or not the loss of a baby tooth qualifies as a dental emergency in Manchester. While in most cases there is no need to panic we recommend that you bring your child to the dentist straight away. In many cases losing a baby tooth is no big deal especially if your child is nearing the age where his or her permanent teeth should be making an appearance. However, in some cases a knocked out baby tooth may require a little more attention. The good news is that because baby teeth are not as deeply rooted as primary teeth, there’s less risk of permanent damage. That said, it’s always advisable for your child to visit an emergency dental clinic in Manchester as soon as possible. Once you’ve comforted your child try and locate the missing baby tooth. You wouldn’t want to risk your child choking on it and also your dentist might want to take a look at it. You should never attempt to place a baby tooth back in its socket since there’s a chance that you could damage the permanent tooth that’s sitting beneath it. What happens in the long term usually depends on the age of your child and the location of the lost tooth. It may be that X-rays will be taken to ascertain whether or not the underlying permanent tooth has suffered any damage. In addition, your dentist may recommend a spacer to ensure that the permanent tooth has room to grow into. If front teeth are involved your dentist may even suggest pediatric partials (replacement teeth) for pre-schoolers, which can be removed once permanent teeth start to come in. Otherwise, a visit from the tooth fairy is likely to be brought forward for an older child. 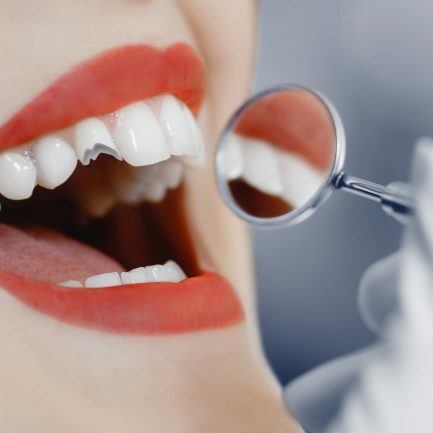 any dental emergency in Manchester, the best approach for long-term dental health is to visit your dentist right away.